Exhibiting at Summer NAMM is the perfect opportunity to set your company up for a successful fall and holiday selling season by meeting face-to-face with the Top 100 Dealers, spending quality time with your customers and building your brand in the exciting atmosphere of the magnificent new Music City Center. Make your plans now—this Friday, March 8 is the priority booth assignment deadline. There are several options for participating in Summer NAMM to help accommodate your marketing budget while enjoying the many opportunities at this show. 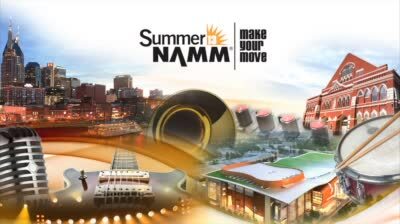 Complete your space application today to exhibit at 2013 Summer NAMM.